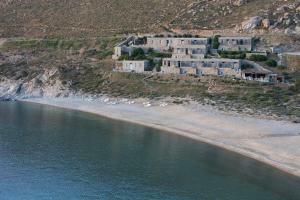 The villas are very comfy and make the most of the beautiful bay setting in which they are housed. The decor is lovely - very simple and stylish. Seems like a fusion of the best of greek & scandi style. The breakfast is fabulous - both in choice and flavours. Loved it. The furniture on the beautiful beach was very comfortable and a gorgeous place to whilst a way the day. Everything was a perfect 10! Especially the Staff!!! The service and food was fantastic and the location is magical. A wonderful experience in every sense. 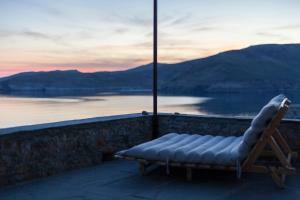 Such an atmospheric property which blends into the stark landscape beautifully. The location, on the beach, quiet, traditional comfortable design. Friendly staff. Great beach, nice views, design apartments, friendly staff and great beds. Super Location. Einmalige Lage. Sehr freundliches Team. צוות מאד אדיב ומשתדל לרצות. חוף מדהים פרטי של המלון. נקיון ומיים צלולים. חדרים נוחים ופשוטים. יופי ונוחיות בפשטות יוונית. עיצוב יפה של המלון. חיבור אמיתי לטבע. Sehr schönes, kleines Hotel im griechischen Styl. Direkt oberhalb einer traumhaften Meeresbucht mit kristallklarem, blauen Wasser, die man in 2-3 Minuten gut zu Fuss erreichen kann. Feines Frühstück mit frisch hergestellten Eierspeisen exquisiten Espresso, Latte Macchiato, feinem Brot und griechischem Yoghurt mit Honig. Sehr feine, aber nicht günstige Nachtessen wie frischer Fisch usw. Bequeme Betten in denen man(n) (und Frau) herrlich schlafen kann. La situation, le confort des lits, le design de l'hotel, le restaurant et le personnel adorablr. Lock in a great price for Coco-Mat Eco Residences Serifos – rated 9.1 by recent guests! One of our top picks in Vayiá – and a guest favorite. 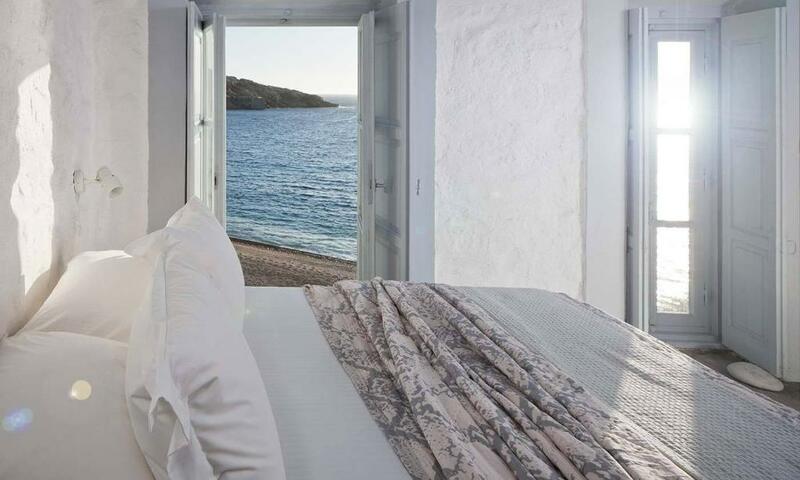 Coco-Mat Eco Residences Serifos is a bioclimatic complex of 13 renovated miners’ houses located on Vagia Beach, in the island of Serifos. This property features a garden, restaurant and a lounge bar. Free WiFi is available in the lounge. The eco-friendly apartments are equipped with COCO-MAT furniture, pillows and linen products that are made exclusively with natural, nonmetallic materials. Decorated in pale tones, they offer a seating area with flat-screen TV and balcony overlooking the Aegean Sea. Cooking amenities can be provided at the kitchen. The bathrooms feature a shower and come with hairdryer and bathrobe. 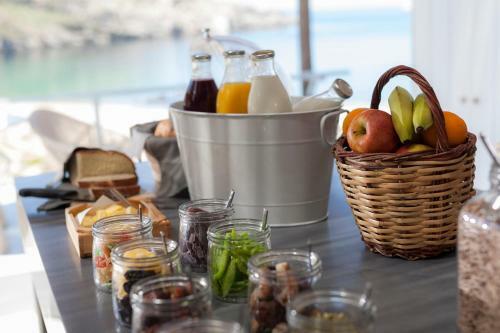 Greek breakfast is served daily. The lounge bar offers drinks and light meals throughout the day. 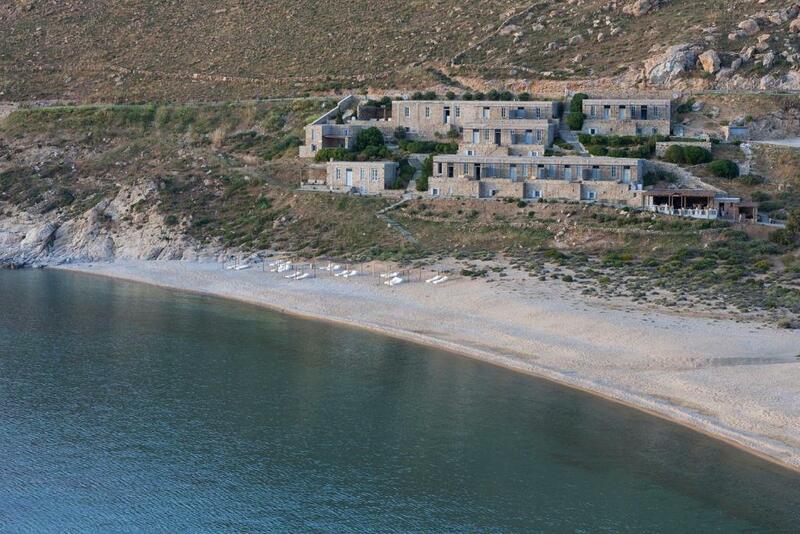 Coco-Mat Eco Residences Serifos is 6.8 mi from Livadi Port. The property car rental services, and can be used as wedding and banquette venue. Free parking is offered on site, while free port transfer can be arranged upon request and subject to availability. This property also has one of the top-rated locations in Vayiá! Guests are happier about it compared to other properties in the area. This property is also rated for the best value in Vayiá! Guests are getting more for their money when compared to other properties in this city. 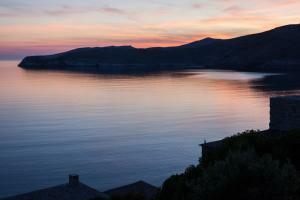 When would you like to stay at Coco-Mat Eco Residences Serifos? 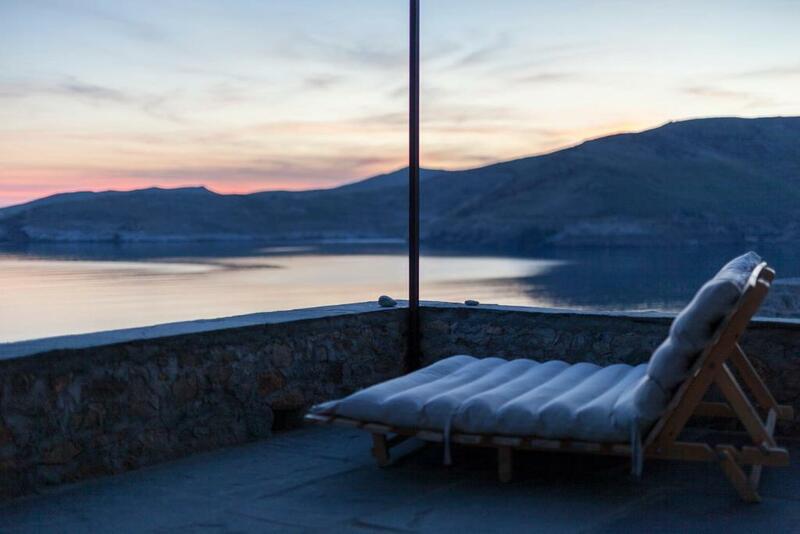 This apartment comes with a balcony overlooking the Aegean Sea. It offers a seating area with a flat-screen TV, a ceiling fan and a kitchen. The bathrooms feature a shower and come with hairdryer and bathrobe. Its double bedroom is located at a lower level. Please note that an extra bed may be accommodated in this room type upon request. Please note that children under the age of 10 years can be accommodated free of charge. This apartment comes with a balcony overlooking the Aegean Sea. It offers a seating area with a flat-screen TV, a ceiling fan and a kitchen. Both bedrooms come with a private bathroom, including a shower, hairdryer and bathrobe. 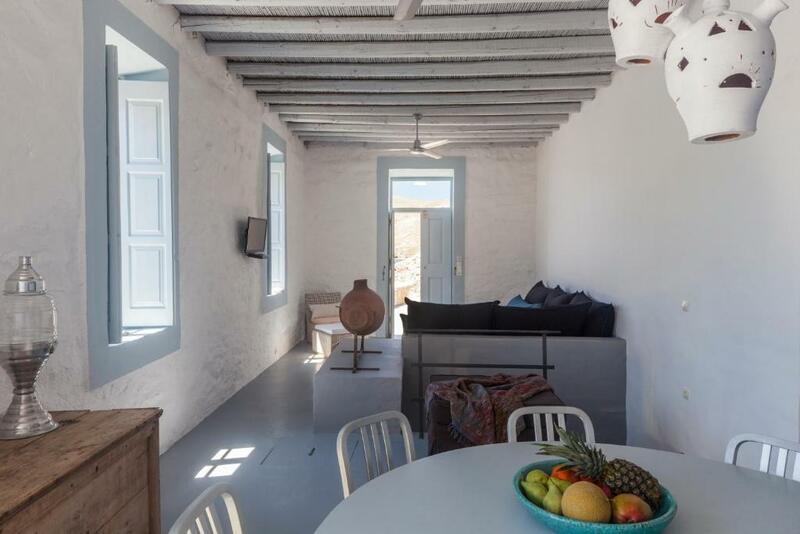 In a previous life, COCO-MAT Eco Residences Serifos was a complex of miners' houses, built in 1910, which has been recently renovated, respectful of both the local traditional architecture and contemporary eco-friendly practices. Located in the lovely Vagia beach, COCO-MAT Eco Residences Serifos hotel invites you to ease up, slow down and truly enjoy your time on an island that can offer you the authentic – albeit alternative – Cycladic experience, without any uncalled-for tourist hassle. House Rules Coco-Mat Eco Residences Serifos takes special requests – add in the next step! Coco-Mat Eco Residences Serifos accepts these cards and reserves the right to temporarily hold an amount prior to arrival. Please note that due to the position and the construction of COCO-MAT Eco Residences Serifos, children under 10 years old should be really careful. Please also note that the property has no children facilities. -kindly note that each room type can accommodate up to 1 extra bed or 1 baby cot upon request and at extra charge. There was nothing that I didn't like. That said I felt that it was expensive for what was on offer. We have stayed at quite a few design hotels in Greece and this one impressed me the least. Everything was just fine but there were no bells and whistles. For example the restaurant had a limited menu and it was very expensive for what it was - most nights the restaurant was poorly populated which makes sense when you can eat else where on the island for a third of the price and still have fantastic meals. Greek tavernas always offer hearty portions and delicious food yet at Coco-Mat the meals whilst flavoursome were very tiny portions. Similarly I felt the service at the hotel generally was lack lustre. No one offered you anything above that for which you paid - for example on the beach you got the umbrella and chair and that was it - it would have been lovely to have been offered complimentary water or fruit or use of stand up paddle boards or something / anything really as a gesture. The hotel is nice but we had come from a hotel on another island that went out of their way to make sure you had a great experience but here I felt the staff felt that it was enough that you were staying at "Coco Mat" and that nothing else was required. A few times it crossed my mind that the more you pay the less you get. The restaurant had a slow service and limited choice of food. I had very high expectations for this place, we were four friends who booked an apartment and I explicitly asked if it would be comfortable for four adults, the staff assured me that it will, however two people had their own room and the other two's bed was imbedded in a small cave in the wall outside of the bedroom. It would be cool for children, but it was a bit small for adults, also very humid inside the sleeping cave (no windows in that area as well). So for that price two of the people, were a bit uncomfortable. Have in mind that even though the beach, where the hotel is, is stunning, there are a couple of buildings, which are under construction and some mornings construction work noises can be heard in the rooms.